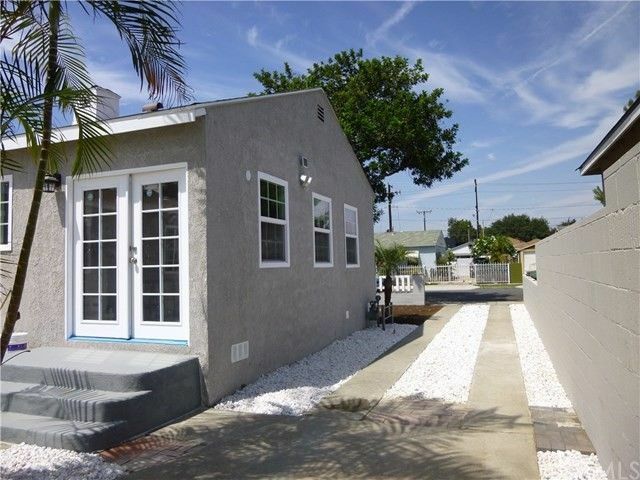 Welcome to your new charming and tastefully remodeled and upgraded 3 bedroom/2 bathroom Carson home in the lovely neighborhood of Lincoln Village just minutes away from Long Beach and conveniently located near the 405/710 freeways. This extraordinary home has been completely rebuilt inside with all necessary permits and you will fall in love with the new layout when you walk in through the front door into the expansive open space with Recess Lighting. Everything inside the house has been newly installed. New Energy Efficient Windows, New Kitchen with quartz counter tops and Kitchen Island, New High End Appliances, New Bathrooms (incl. a Master Bathroom), New Inside Laundry Area , New Doors, New Central Heating, New Water Heater, New Electrical Wiring, New wooden Flooring and more.....This beautifully landscaped home is perfect for your family and for entertaining your friends with its oversized large back yard with fruit trees as well as providing enough parking in the long driveway leading to the detached garage.Do not think too long as this property will not be long on the market!